The Travel Advice and Advisories give you some important advice to help you to make informed decisions and to travel safely while you are abroad. It’s a good idea to prepare before you arrive to the desired destination. Here are some tips that will help you plan the perfect holiday. Be smart; know the tips for the perfect trip. 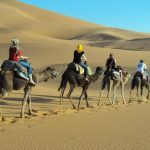 When to go to Morocco: It is advisable to know about the best time to travel to Morocco when you intend to plan your trip. And take in consideration two important factors: climate and the month of Ramadan. 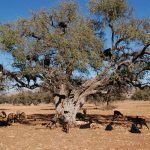 Morocco’s climate varies by seasons and offers an opportunity where to stay at any time of year; in winter (December to February) the north and coast can be very rainy and cloudy, the Atlas Mountains can be too cold with snow-covered peaks last till July. In spring (March to May) the rains may continue to fall but the country is lush and green with wild blooming flowers. In summer (June to august) the temperature is extremely hot in the desert. In Autumn (September to November) time when the summer temperature reduces gradually. 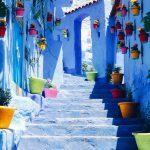 Each season is unique in Morocco, so the best time to visit it is in springtime in addition to the months of September and October. 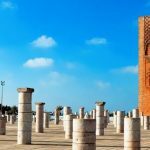 The climate allows you to experience the best of Morocco as you head to the Deep South in winter, spring and autumn. 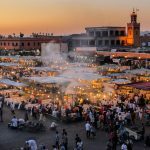 If you are visiting morocco in the summer it is recommended to avoid the desert and head to the Atlas Mountains and the coastal cities, however bear in mind to encounter many crowds. The other factor is Ramadan which is the 9th month of Islamic Lunar Calendar; it is a time for fasting and spiritual purification. This means Moroccan Muslims can’t eat, drink or smoke during daylight and feast at night. You should be respectful and sensitive to the fast and try not to eat and drink publicly especially drinking when Ramadan falls on summer. Note that Business hours are reduced and some shops and restaurants close during the day especially when the weather is hot. Shopping: There are many things to shop for such us: Argan oil, Silver jewellery in Tiznit, Berber carpets, dates in Erfoud, metal and woodcrafts. you can also shop for leather goods (bags, sandals), pottery (for example: Tagines, plates), or buy pure spices ( including cumin, coriander, cinnamon ,paprika in addition to turmeric or saffron in Taliouine and ginger…), paintings, and traditional clothing (Djellabah), pieces of fossils of erfoud (plate, Ammonite ,candle-holder also trilobite of Alnif region…). People: characterises of Moroccans are social, friendly, hospitable and generous. 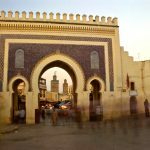 Passport, Visa and Entry Requirements: To enter morocco a valid passport is required for the check point. Visas are not required by the nationals (British, Australian, Canadian, USA Other EU…) for stays of up to three months. If you are from another country you are advised to contact the embassy to check visa requirements. Currency: Morocco uses the Moroccan dirham (symbol DH or MAD). There are several banks in each city and ATM cash machines are accessible in all over Morocco. Some credit cards (Visa, MasterCard and American Express) are accepted in some hotels, guest houses and restaurants.The Euro and US Dollar are broadly accepted, even preferred. 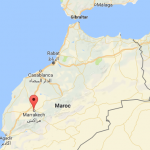 Time Zone / Difference: The local Time in Morocco is GMT. In the Summer time an extra hour is added, and and it turns from GMT to GMT+1, Daylight saving time (Summer time) starts from last Sunday in March, and ends last Sunday October. 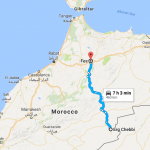 Area: Morocco is an African country bordered by the Mediterranean Sea in the north, by Mauritania in the south, by Algeria in the east and by the Atlantic Ocean in the west. Sector Electricity / Voltage: 220 volts AC, 50Hz. 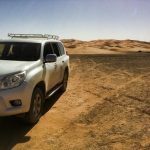 so If you are travelling to Morocco, you will need a standard charger and plug adapter. This map represents the coverage of 2G, 3G and 4G mobile networks. Religion: The vast majority of Muslims in Morocco are Sunni belonging to Maliki school of jurisprudence. The King of Morocco claims his legitimacy as a descendant of the Islamic prophet Muhammad. The second-largest religion in the country is Christianity. New Year’s Day — 1 Jan.
Labour Day — 1 May. Feast of the Throne — 30 Jul. 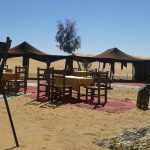 Fête Oued Eddahab (Oued Eddahab Allegiance Day) –14 Aug.
Révolution du Roi et du Peuple (Anniversary of the King and the People’s Revolution) — 20 Aug.
King Mohammed’s Birthday — 21 Aug. Marche Verte (Anniversary of the Green March) — 6 Nov.
Fête de l’Indépendance (Independence Day) — 18 Nov.
Islamic Holidays: Please note that numerous Islamic holidays change each year and are timed according to Islamic lunar calendar such as:Ramadan (Month of fasting and purification).Eïd al-Mawlid (Prophet’s Birthday).Eïd al-Fitr (End of Ramadan).Eïd al-Adha (Feast of the Sacrifice).Fatih Muharram (Muslim New Year).